Open End V-Belting| Safety Protective Equipment– SOS Safety Int. Inc. The ideal solution for problem applications and emergency replacements! 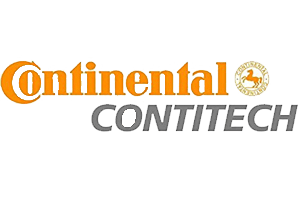 Continental ContiTech Open End V-belting is the perfect answer for applications where endless V-belts are difficult or impossible to install. 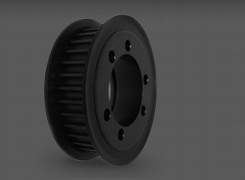 It also serves as an ideal emergency replacement when the exact length of endless belt is not readily available. Open End V-belting will operate in any drive as long as ARPM standard sheave dimensions are observed and the recommended maximum speed of 3,500 feet per minute is not exceeded. 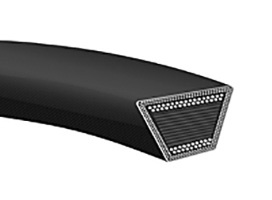 It is not recommended as a permanent substitute for endless V-belts except on drives where standard belts cannot be installed. 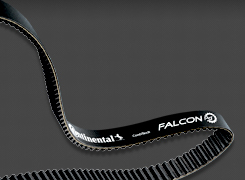 Horsepower ratings for fastened Open End V-belts are approximately 30 percent less than standard Continental ContiTech multiple V-belts. 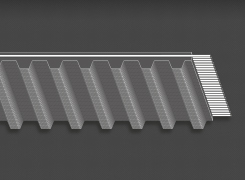 Do not use Open End V-belts and Endless V-belts together on the same drive, due to elongation and cross section dimension differences.